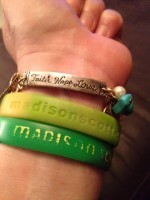 It has almost been 5 years since Madison Scott went missing. 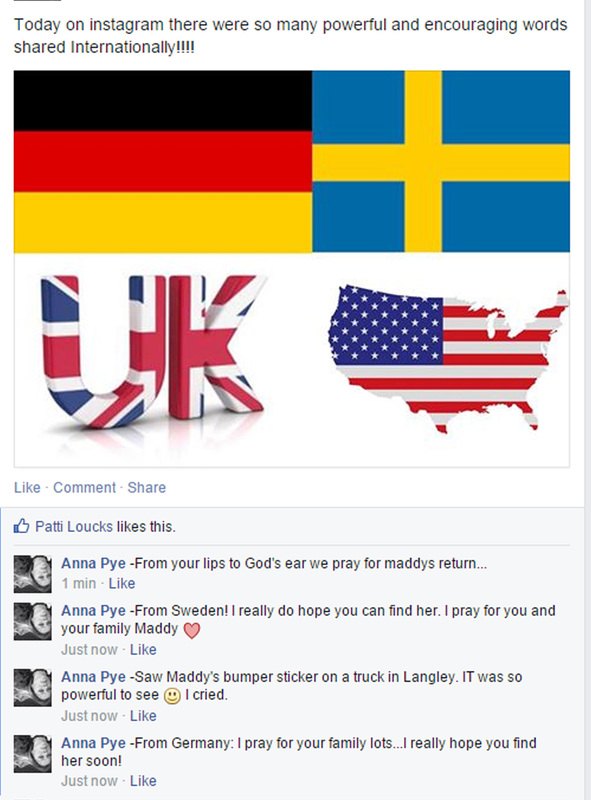 Thanks to all that are keeping the the word of her disappearance in the forefront and spreading it far and wide. 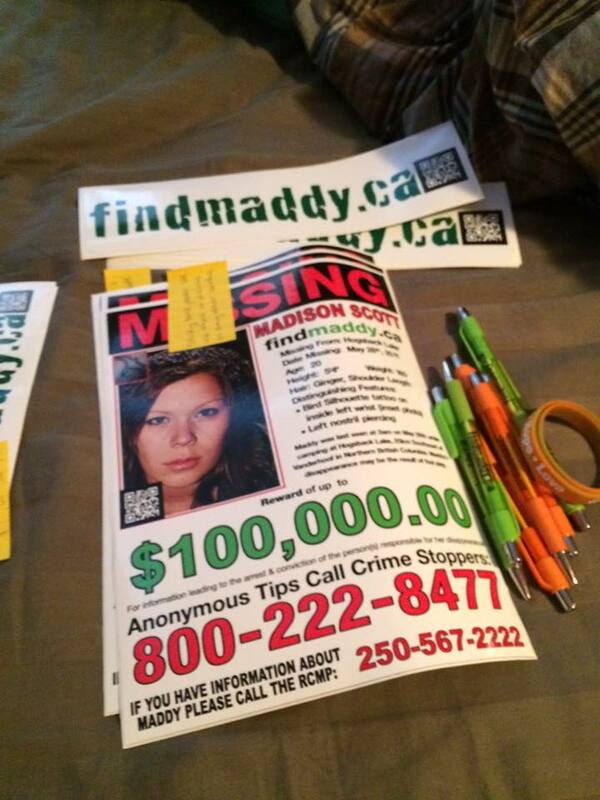 Four years after Madison Scott went missing, friends, family and police are continuing to hold out hope the mystery of the Vanderhoof woman’s disappearance will be finally solved. 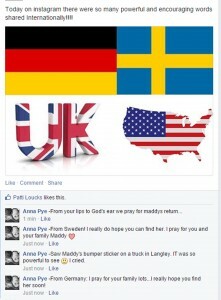 “The police continue to actively work on Maddys’ file,” her brother Ben said in a statement issued Thursday. 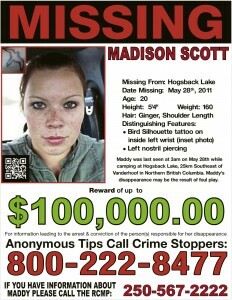 Scott, then a vibrant and popular 20 year old, was last seen during the early morning hours of May 28, 2011 at Hogsback Lake, 25 kilometres southeast of Vanderhoof. When she failed to return home later that day, a massive search was launched but to no avail and despite a concerted effort to keep her name and face in the public’s eye ever since, Scott has not yet been found. “The Maddy posters, stickers, and signs enable us to maintain our presence and enhance awareness in the surrounding area,” Ben Scott said. 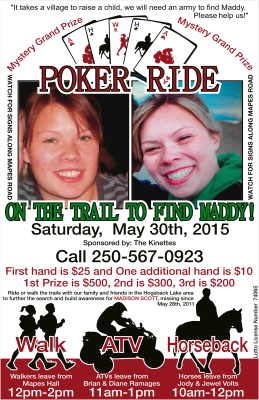 An “All In For Maddy Poker Ride” will be held Saturday with participants traveling through the Hogsback and Blackwater area where Scott went missing. “This is our team’s primary awareness campaign,” Ben Scott said. 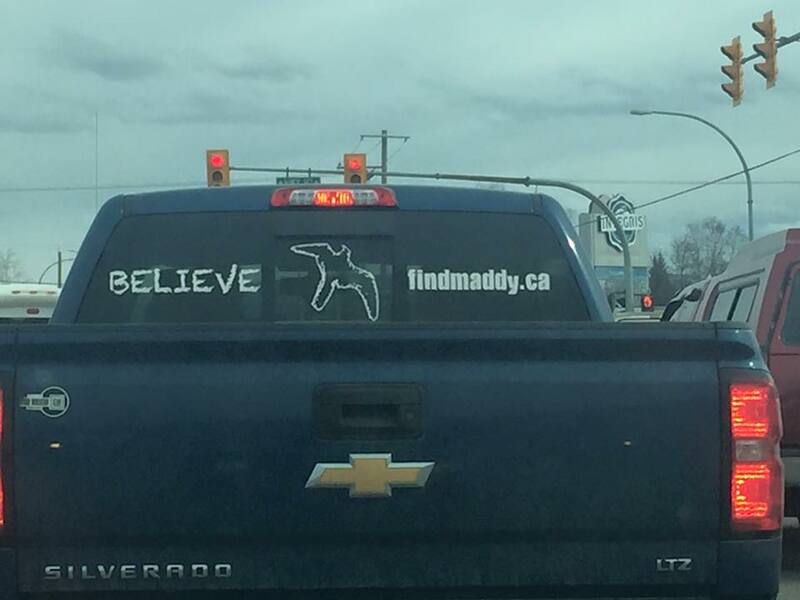 “The event keeps people thinking and looking for Maddy in the area that she went missing from with the ultimate goal of increasing awareness. Nearly 400 people have participated in the previous three poker rides and another strong turnout is expected this year. More information, including start times and locations for horseback and all-terrain vehicle riders and walkers can be found at madisonscott.ca. “We would like to thank the community for all of your support and we truly are forever grateful for all that has been done to assist our search and awareness efforts,” Ben Scott said. “We are extremely fortunate to have had unconditional support from the community and we are optimistic that this continued support will lead to the desired answer. Anyone with information concerning Scott’s disappearance are asked to call the Vanderhoof RCMP detachment at 250-567-2222 or CrimeStoppers at 1-800-222-8477. We still do not have Madison Scott back home, so we are hosting another poker ride this year. It will be on Saturday May 30th. 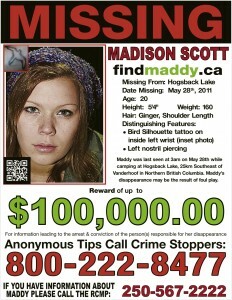 Ride or walk the trails with our family and friends in the Hogsback Lake area to further the search and build awareness for Madison Scott who has been missing since May 28th 2011. First hand cost $25 and one additional hand is $10. 1st prize is $500, 2nd is $300, and 3rd is $200.00, as well as a mystery grand prize. 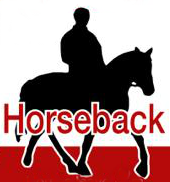 Horseback riders start at 10 am to 12 pm, leaving from Jody & Jewel Volts place. ATV riders start at 11 am to 1 pm, leaving from Brian & Diane Ramages place. Walkers start at 12 pm to 2 pm and leave from Mapes Hall. All three poker rides end at Mapes hall, where there will be a meal for the participants. 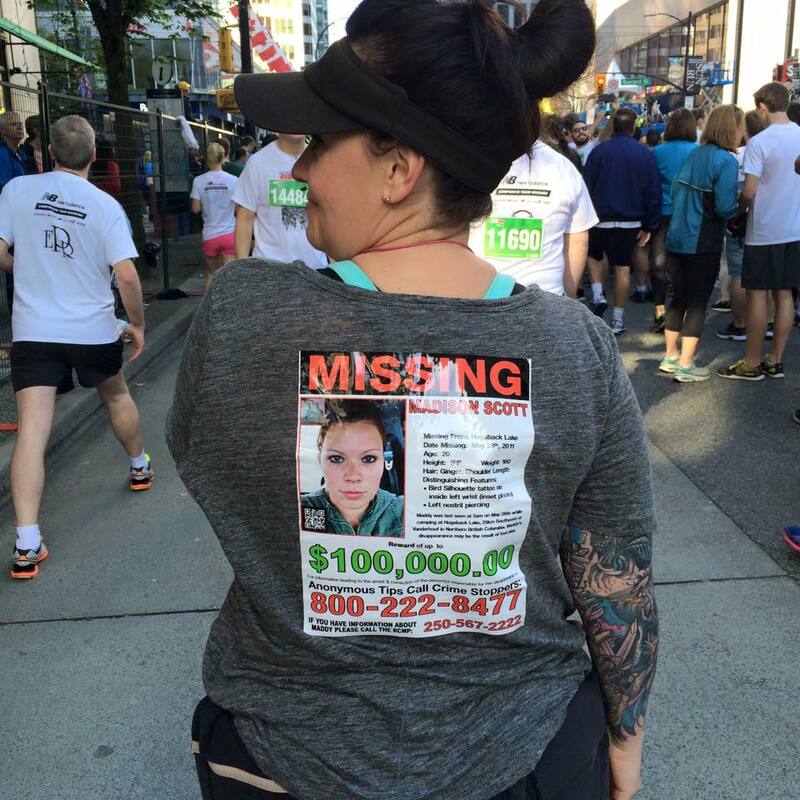 At the Sun Run start line. 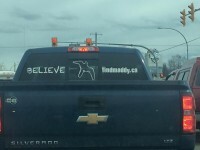 Spreading the word to 41,000 people.